Winemaker Taylor Whelan’s covering letter with CedarCreek’s spring release includes a titillating forecast that the construction at the winery is nearly concluded. “We are in the home stretch of the last 18 months of construction as our team here prepares for the largest opening of a winery property since Mission Hill Family Estate was unveiled nearly 20 years ago,” Taylor writes. He was referring to the new tasting room and restaurant that has risen at the winery, replacing an old cottage once used for winery offices. During the past two seasons, the extensive construction at CedarCreek almost certainly discouraged some visitors from navigating the parking lot. Soon, they will find good access again, with a larger tasting room and a year-round restaurant. Since June 1, CedarCreek has offered lunch in the Vineyard Terrace, a stopgap – however pleasant – until the restaurant is open. Taylor’s letter also draws attention to a pair of important changes in viticulture and in winemaking. First, the 50-acre Home Vineyard is well along in its transition to organic production, which began in 2017. CedarCreek plans to get organic certification in 2019 for that vineyard. The winery is also moving toward organic viticulture in its Osoyoos vineyards. Second, Taylor draws attention to the increasing use of oak with the wines, but not to make the flavours taste oaky. “By fermenting a portion of our aromatic whites in neutral oak barrels, the oak imparts texture, rather than flavour, letting the fruit shine on the palate,” he writes. As it happens, the current release includes several 2017 wines and they certainly are full of flavour. Here are notes on the wines. CedarCreek Estate Pinot Gris 2017 ($18.99 for 3,104 cases). The winery gets grapes both from its home vineyard in East Kelowna and from its Osoyoos vineyards, giving the winemaker ripe flavours with crisp acidity. Some 29% of this wine was fermented in neutral oak to add texture; the rest was fermented in stainless steel. The wine begins with appealing aromas of pear and apple. On the palate, these join with citrus to create a medley of tropical fruit. The finish is crisp and refreshing. 91. CedarCreek Estate Riesling 2017 ($18.99 for 1,125 cases). This wine begins with lovely aromas that are at once floral and citrus. There are intense flavours of lemon, lime and tangerine. The aromas and flavours are fleshed out by the 19.2 grams of residual sugar which is well balanced with 10.6 grams of acidity. The result is a lingering finish that seems dry. With just 10.5% alcohol, the wine, even with its intensity, is light and elegant. 91. CedarCreek Estate Gewürztraminer 2017 ($18.99 for 830 cases). Taylor and his winemaking crew have given a lot of respect to this varietal, starting with crushing the grapes by foot and then allowing the juice to macerate on the skins for 12 hours. A third was fermented in barrel to add texture (the wine has a fatness on the palate). The wine begins with aromas of ginger and lychee. The flavours are a medley of spiced pear and apple. There is a touch of warmth on the palate from the 14% alcohol. With a dry finish, this an Alsace-style Gewürztraminer for food, not for the mid-afternoon tipple. 90. CedarCreek Platinum Block 5 Chardonnay 2016 ($34.99 for 756 six-packs). This wine was fermented with wild yeast in French oak barrels and puncheons. It also aged 10 months in oak. The wine begins with aromas of mango, apple and very subdued oak. On the palate, the flavours hint at lemon and apple. The texture is pleasantly full but good acidity leads to a refreshing finish. 93. CedarCreek Platinum Block 1 Pinot Noir Rosé 2017 ($29.99 for 784 cases). This is likely to top-priced Okanagan rosé – but the wine delivers! The wine resulted from picks 10 days apart. The earlier harvest captured herbaceous flavours will the second captured ripe fruit flavours; both picks were combined in this wine which was fermented 89% in stainless steel, 11% in oak. The colour is fashionable pale (but not anaemic). There are aromas and flavours of strawberry, watermelon and pink grapefruit. The flavours persist on the finish. 93. CedarCreek Estate Meritage 2015 ($24.99 for 2,168 cases). The blend is 38% Malbec, 37% Merlot, 20% Cabernet Sauvignon and 5% Cabernet Franc. The wine was aged 20 months in French oak. What makes this wine stand apart is that it is anchored by Malbec. That variety contributes a deep colour and a powerful perfumed aroma of plum and blueberry. On the palate, the wine is bold and generous, with a medley of dark fruit flavours that persist on the finish. 92. Culmina Winery’s 56-acre vineyard was planted over a number of years, starting about a decade ago, by Donald and Elaine Triggs. Judging from the current releases, the vines have begun to deliver on the promise of the site. The site, most of which is in the Golden Mile sub-appellation, consists of a series of benches, each higher than the other. Margaret’s Bench, the highest and coolest, has an elevation of 600 meters, or 200 meters higher than Culmina’s Arise Bench. This is the large vineyard encompassing the road to the winery. It is planted primarily to Bordeaux reds. The elevations and the aspects give the winery the ability to grow a significant range of varieties – some benefitting from a cool location, such as Grunner Veltliner, Riesling and Chardonnay. Others varieties (Bordeaux reds and Syrah) grow in the warmer locations. The current releases show the winery is now beginning to release some single varietal Bordeaux reds, even though the primary intent of the Triggs family was to produce a sophisticated red blend (called Hypothesis) in preference to a portfolio of single varietals. 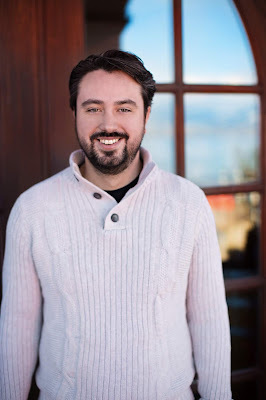 He made those comments before the winery had released three Bordeaux reds from the 2015 vintage, the warmest vintage yet in the Okanagan. Whatever one thinks about climate change, these are big ripe wines that should make one excited about what Culmina is producing. The 2016 and 2017 vintages were solid vintages, producing high quality wines. And keep an eye on the 2018 vintage. To the end of May, the heat units have been higher even than 2015. Here are notes on the Culmina releases. Culmina Unicus 2017 ($27). This is the winery’s Grüner Veltliner, fermented 57% in stainless steel, 25% in a concrete egg and 18% in a concrete amphora, a technique that adds texture while preserving the wonderful fruit flavours. It begins with aromas of grapefruit, leading to a mouthful of tropical fruit. On the finish, there is the classic note of white pepper true to the variety. 93. Culmina R&D White Blend 2017 ($19). This wine is a blend of Chardonnay, Riesling, Gewürztraminer and Viognier. The wine beguiles with spicy, fruity aromas leading to flavours of melon and apple mingled with an herbal note. The finish is dry. 90. Culmina R&D Rosé Blend 2017 ($19). This is a blend of Merlot, Malbec and Cabernet Sauvignon. Fashionably pale, the wine hints of strawberries in the aroma, echoing that in the flavour. The tangy finish is refreshing. 88. Culmina N◦ 004 Stan’s Bench Chardonnay 2016 ($39). This estate-grown Chardonnay was aged 60% in used oak, 40% in stainless steel. The result is a generously textured with bright citrus and apple flavours mingled with hints of oak. The aroma shows buttery marmalade notes. 92. Culmina Saignée 2017 ($24). This rosé is made by bleeding juice from red grapes just after crush. The blend is 56% Merlot, 19% Cabernet Sauvignon, 14% Malbec and 11% Cabernet Franc. Pale in colour, the wine begins with a delicate raspberry aroma. The surprise is the fullness on the palate, with flavours cherry and cranberry. Dry on the finish, this is an excellent food wine. 90. Culmina Merlot 2015 ($35). This wine, which was aged in French oak (20% new), begins with expressive aromas of spicy dark fruit and cassis. The wine is big and firm and definitely benefits from decanting. It will age well, revealing more complexity beyond the flavours of black currant. 91. Culmina Cabernet Sauvignon 2015 ($39). This wine was aged 16 months in French oak (50% new). It is a concentrated, well-structured wine that begins with aromas of cassis and black cherry. On the palate, there are flavours of blackberry, black cherry and black currant. The long, ripe tannins make this wine, paradoxically, more approachable now than the Merlot but it will cellar well. 92. Culmina Malbec 2015 ($N/A). This wine is a show stopper, beginning with the intriguing floral perfume on the nose. It has flavours of black cherry and mulberry. The texture is concentrated. The bottle was sampled over several days, with the wine becoming richer in flavour and texture. This generous wine was aged 16 months in French oak (50% one-year old, 50% two-year old). This is arguably the best Malbec so far from the Okanagan. 93. When to visit: daily 11 am-5pm. Leah McDowell, who operates this winery with husband Jamie, recalls an aphorism from Michael Bartier, their winemaking consultant. Indeed, it would be hard to find another new winery owner with as much marketing experience. She formerly ran two VQA stores as well as a retail store under the Okanagan Estate Wineries license. Jamie, meanwhile, was the distribution manager for a large paper company. Born in Langley in 1963, Leah initially studied kinesiology before leaving university to work as an administrative assistant and then start their family. She returned to the work force at a Save-On-Foods store then managed by Darrell Jones, now the president of Overwaitea Food Group. In 2009, she took over the Okanagan Estate Wineries store in downtown Vancouver’s Hudson’s Bay store. She sold it to the manager five years later, using the proceeds to buy a VQA license in Victoria and relocate it to Abbotsford. She telephoned her former boss, Darrell Jones, - who still remembered her - and completed the sale of her VQA stores by early 2016. Over a dinner later that spring, Kim Pullen, then the owner of Church & State Wines, asked Leah what she planned to do next. “We really had no clue,” Leah said. “We were trying to figure out something we could do together, Jamie and I.” Kim Pullen suggested they open a small winery. They engaged Michael Bartier to help them find property. As it happened, Michael had been working for Road 13 Vineyards and knew that Road 13 wanted to sell its 10-acre Rockpile Vineyard on Black Sage Road. A deal was struck and the McDowell winery project got a running start. Rockpile had been planted in 2006. They took over a property with enough grapes to support, eventually, the production of 3,000 cases a year. Road 13 handed the vineyard over after the 2016 harvest. Here’s The Thing got all of the fruit in 2017 but sold some grapes. Leah’s sales experience told her to move cautiously while establishing her brand. The winery opened with 1,200 cases. The major blocks in the vineyard are four acres of Cabernet Franc and three acres of Syrah. There is about one acre each of Gamay, Viognier and Roussanne. Jamie would like some Chardonnay but the vineyard is fully planted. It was very good advice. One of the white Rhone varietals, Roussanne has proven to make an interesting and delicious companion to Here’s The Thing’s Viognier. Experiences like that have cemented a tight relationship between the McDowells and Michael. His Bartier Brothers winery and vineyard is next door, conveniently allowing Here’s The Thing to process its grapes there but cellar the wines in its own solar-powered building. Both the winery and the wine shop at Here’s The Thing are off the grid. The winery’s name is Leah’s creation. Here’s the Thing “Really” Roussanne 2017 ($25). The wine begins with aromas of peach and stone fruit, leading to flavours of quince, pineapple and apricot. It has a dry finish, with hints of minerality. 90. Here’s the Thing “Hundred Percent” Viognier 2017 ($25). This is a classic Viognier, beginning with aromas of apricot. On the palate, there are flavours of apricot and peach. The texture of the wine is full, with a spine of minerality running through it. There is a hint of almond on the dry finish. 90. Here’s the Thing “Living the Dream” Rosé 2017 ($20). This is a blend of 96% Pinot Gris and 4% Cabernet Franc. The wine is fashionably pale with delicate aromas of raspberry. On the palate, it is light and refreshing with flavours of apple. 89. Here’s the Thing “One More Thing” Cabernet Merlot 2016 ($30). This is a blend of 50% Cabernet Franc and 50% Merlot. It begins with aromas of black cherry and vanilla. On the palate, there are flavours of black currant, blackberry with spice and a hint of coffee on the finish. 89. Here’s the Thing “Seriously” Syrah 2016 ($35). The wine begins with aromas of white pepper and dark fruits. On the palate, there are meaty flavours of black cherry and plum with a touch of licorice on the finish. 90. At the recent All Canadian Wine Championships competition, the Okanagan’s Wild Goose Vineyards won two “best of show” awards – one for a white wine, one for a red. The winning white is the winery’s 2017 Gewürztraminer. The winning red is the winery’s 2016 Red Horizon Meritage. 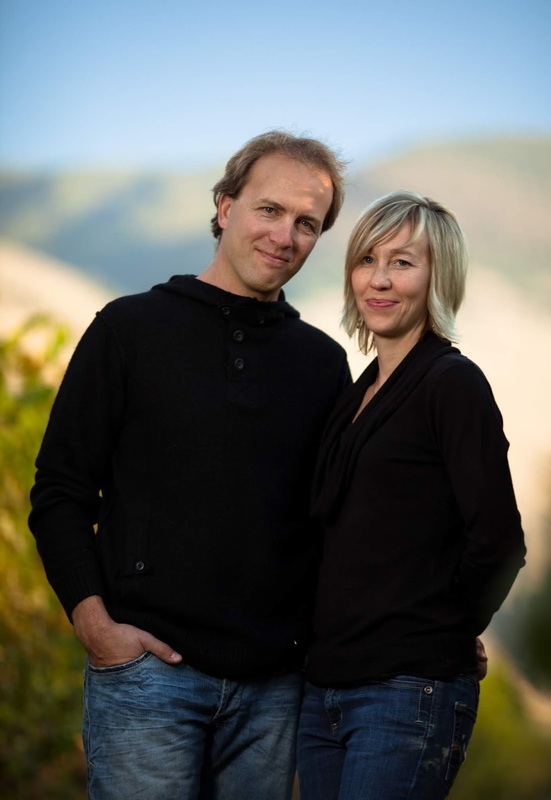 Let’s reserve some credit for the Kruger family, among the Okanagan’s most respected wine growers. Here is an excerpt on the winery from the 2014 edition of John Schreiner’s Okanagan Wine Tour Guide. The bell tower above the new wine shop that Wild Goose opened in 2012 telegraphs an unintentional whiff of “I told you so.” When the winery first opened in 1990, a government official suggested that founder Adolf Kruger would be lucky to sell 2,000 bottles of wine a year. Adolf proved him very wrong. Now, Wild Goose is producing 11,000 cases of award-winning wine each year. In a release on the awards at the ACWC, Roland described the two wines. Wild Goose Mystic River Pinot Blanc 2017 ($16.52 for 975 cases). This expressive white from one of Wild Goose’s storied vineyards has aromas and flavours of citrus, apple and peach. The lingering finish is crisp. 92. Wild Goose God’s Mountain Riesling 2017 ($17.39 for 400 cases). This wine begins with citrus aromas. On the palate, the tangy lime flavours mingle with notes of minerality. 91. Wild Goose Stoney Slope Riesling 2016 ($18.26). The extra year of bottle age has allowed the wine to starts developing the classic petrol aroma. On the palate, there is a core of lemon and lime flavours. The finish is dry. Wild Goose Riesling 2017 ($16.52 for 2,100 cases) This is the winery’s quaffable, off-dry Riesling, with flavours of peach and citrus. 90. Wild Goose Pinot Gris 2017 ($17.39). This wine has aromas and flavours of pears and stone fruit mingled with spice. A well-balanced touch of residual sugar supports the fruity flavours. 91. Wild Goose Gewürztraminer 2017 ($16.96). Prior to the ACWC, this wine had already won gold in two other competitions. The wine puts on a dramatic show, with powerful aromatics of lilac, lychee and rose petals. It is rich on the palate, with flavours of spice, peach and apricot. The wine is balanced to finish dry. 92. Wild Goose Autumn Gold 2016 ($17.39). This white blend has legions of fans. A blend of equal parts Riesling, Gewürztraminer and Pinot Blanc, it brims with fruit. It begins with aromas of peach, apple and citrus which are echoed on the palate. 90. Wild Goose Merlot 2016 ($20 for 430 cases). Aged 12 months in French and American oak, this bold wine begins with aromas of black cherry and vanilla. On the palate, the dark fruit flavours mingle with chocolate, coconut and toasty oak. 91. Wild Goose Red Horizon 2016 ($23 for 450 cases). This wine is already allocated two bottles per customer. It is a bold, even robust, red. It begins with aromas of cassis mingled with spice, and continues with flavours of black cherry, fig, dark chocolate and leather. 92. New this year from Orofino Vineyards is a delicious blend called White Bridge White. The wine is a partner to Orofino’s Red Bridge Red, a Merlot-based blend that the winery, which was opened in 2005 by John and Virginia Weber, has made almost from the start. Earlier vintages included Merlot from a vineyard in Kaleden. For several years, Orofino has been making its wine exclusively with Similkameen fruit. The wine gets its name from a well-known covered red bridge near Keremeos. Coming also from Orofino is new nomenclature on the wine labels: John has begun codifying the sub-appellations from which he gets his grapes. The Similkameen Appellation so far has no official sub-appellations and there appears to be little industry movement in that direction. That is not stopping John from drawing attention to the valley’s unique terroirs. Look for these names to appear on Orofino labels in the future: Cawston Bench, South Cawston Bench, Cawston Flats, Keremeos Bench, Keremeos Flats and Olalla Gap. John already names the vineyards on his labels. There are noticeable differences, for example, between his Hendsbee Vineyard Riesling (grown on a bench near the winery) and the Scout Vineyard Riesling, grown on the Cawston South Bench in the valley. He wants to make the differences more noticeable to his consumers. This champion of the Similkameen sub-appellations, formerly a teacher, arrived in the valley in March, 2001 from Saskatchewan with his wife Virginia, a nurse. They took over a 1.8-hectare (4 ½ -acre) vineyard near Cawston that had been planted in 1989. “We spent the first year on a huge learning curve,” John remembers. Original thinkers, they used straw bales to build an energy efficient winery and tasting room. Solar panels added in 2012 make Orofino, and its two new vineyard suites, almost energy self-sufficient. The winery today has eight acres of vineyard and John farms or buys fruit from an additional 20 acres, all in the Similkameen. Orofino White Bridge 2017 ($20). This is a blend of 50% Pinot Gris, 35% Muscat and 15% Riesling. The wine begins with ar0mas of spice and citrus, leading for flavours of pear and citrus. A hint of residual sugar adds volume to the texture and the aroma, but the wine is balanced to finish dry. 91. Orofino Hendsbee Vineyard Riesling 2016 ($22). This elegant wine, fermented in stainless steel, has aromas and flavours of lemon and lime. A slight hint of petrol has begun to emerge. The concentrated texture has a backbone of minerality. The finish is dry. 92. Orofino Scout Vineyard Riesling 2016 ($22). The Scout Vineyard is a hotter site than Hendsbee. This wine, partially fermented in concrete, has aromas and flavours of citrus and ripe apples. The wine is slightly off-dry. 92. Orofino Wild Ferment Old Vines Riesling 2016 ($29). This wine, from a 1989 block of Riesling at the winery, was fermented entirely in barrel. The wine fills the palate richly with flavour – peach, citrus and honey – around a spine of minerality. 92. Orofino Pozza Vineyard Cabernet Franc Rosé ($40 for a magnum). Pale in hue, the wine has aromas and flavours of raspberry and cranberry, with an earthy minerality on the dry finish. The winery made 750 ml bottles for restaurant clients but bottled magnums only for sale in the wine shop. 91. Orofino Home Vineyard Pinot Noir 2016 ($32). This wine was fermented with wild yeast and aged 14 months in older French oak barrels, thus preserving the fruit. The wine has aromas and flavours of strawberry, mingled on the palate with hints of spice and chocolate. 91. Orofino Scout Vineyard Syrah 2016 ($29). The remarkable Scout Vineyard, near Cawston, produces excellent Syrah as well as Riesling. Europeans would be perplexed to fine those varieties growing side by side – but the Similkameen is unique terroir. This dark wine begins with appealing aromas of smoked meat, plum and black cherry. These are echoed on the palate, along with a touch of white pepper on the finish. 91. Orofino Beleza 2015 ($34). This is Orofino’s flagship Bordeaux blend – Merlot, Cabernet Sauvignon, Cabernet Franc, Petit Verdot and Malbec. It begins with cassis and dark fruit aromas, leading to flavours of black currant and a compote of dark fruit with a hint of vanilla. This is an elegant wine that will age very well. 94. Ann Sperling is the most distinguished home-grown winemaker in the Okanagan. She makes fine wine in Ontario and Argentina as well as in British Columbia. The current releases from Sperling Vineyards are an example of her art. If one was writing about a European winery, a career like hers might not seem so remarkable. There, winemakers have followed in the footsteps of the family for generations. Ann is one of the rare examples in British Columbia. Here is an excerpt on the winery from the 2014 edition of John Schreiner’s Okanagan Wine Tour Guide. The history of north Okanagan grape growing and winemaking lives here. This winery has been launched by the Sperling family whose Casorso ancestors planted Kelowna’s first vineyard in 1925 and were among the original investors in what is now Calona Vineyards. The story began when Giovanni Casorso came from Italy in 1883 to work at Father Pandosy’s mission before striking out on his own (he was once the Okanagan’s largest tobacco grower). His sons planted several vineyards. Formerly known as Pioneer Ranch, the 18.2-hectare (45-acre) Sperling Vineyards was planted initially in 1931 with grapes and apples by Louis and Pete Casorso. When Pete retired in 1960, Bert Sperling, his son-in-law, switched to entire property to vines, both wine grapes and table grapes. The grapes here include a 50-year-old (in 2014) planting of Maréchal Foch, a 37-year-old planting of Riesling and a planting of indefinite age of Perle of Csaba, a Muscat variety once grown widely in the Okanagan. Recent plantings include Gewürztraminer, Pinot Gris, Pinot Noir and Chardonnay. Undoubtedly, the Sperling family has been thinking about a winery of its own ever since Bert’s daughter, Ann, who was born in 1962, began her winemaking career in 1984, first with André’s Wines and then with CedarCreek Estate Winery. She moved to Ontario in 1995 where she helped launch such several stellar wineries. She and Peter Gamble, her husband, consult internationally and own a premium boutique vineyard in Argentina. As busy as her career has been, one thing had been missing in Ann’s life. “I have always wanted to make wine with my parents’ vineyard,” she says. “I got to make wine with some of the grapes when I was at CedarCreek, but not anything extensive.” The Casorso story came full circle with this premium winery in 2013 when a production facility with a 10,000-case capacity was completed in the middle of the vineyard. The new winery is licensed as Magpie Cellars, named for a flock (or murder) of magpies that have lived here a long time. “They have watched over us and criticised our work for generations,” Ann says. “It seemed fitting to acknowledge their role.” The site is not convenient for wine touring. The tasting room remains in Pioneer Country Market. Sperling Organic Speritz 2017 ($22 for 284 cases). This is a rare experience to taste a wine made with the Perle of Csaba, a Muscat variety said to have been first planted in the Okanagan in 1929. This wine is a blend of 51% Perle and 49% Bacchus. With 42 grams of residual sugar and 7.5 grams of acid, this off-dry white comes across with surprising delicacy because it has just 7.5% alcohol. It is a wine with aromas and flavours of spice and tropical fruit. The spritzy finish adds to its refreshing quality. 90. Sperling Old Vines Riesling 2014 ($27.89 for 210 cases). The Sperling vineyard is a terroir similar to that of Tantalus. Both wineries rely for their Old Vines Riesling on a block of Weis Clone 21B Riesling planted in 1978. Both wineries make superb, age-worthy wines from those grapes. The Sperling OVR is fermented cool in stainless steel with both wild and non-aromatic yeast. Fermentation was stopped with 12.5 grams of residual sugar remaining. That was balanced with almost 9 grams of acidity; and two years of bottle age before its release polished the acidity. The result is a dry and very sophisticated wine that begins with aromas and flavours of lime and petrol around a spine of minerals. 92. Sperling Sparkling Brut 2011 ($43.49 for 200 six-packs). The is a traditional Champagne method wine made with Pinot Blanc from a 1996 planting. The wine spent five years on the lees before being disgorged. It has classic bready/bisquity aromas and flavours from time on the lees. The are also flavours of citrus and apple. Good acidity gives the wine a crisp, tangy finish. The bubbles are fine and persistent. 91. Sperling Pinot Noir 2016 ($22.59 for 364 cases). This is made with three Pinot Noir clones (115, 777 and 828) grown in blocks planted in 2008. The grapes, including 40% whole clusters, were fermented with wild yeast. The wine was aged in a variety of French oak cooperage, most of it used. The wine’s aromas of cherries and strawberries are reflected on the silky palate. Medium-bodied and with a dark hue, this is a delicious wine. 91. This spring’s releases from Tantalus Vineyards are impressive across the board – notably so with the flagship Old Vines Riesling and with a first time Pinot Noir Reserve. The Tantalus property is among the oldest in East Kelowna. It was one of several that were planted in the late 1920s by J.W. Hughes, who later sold them to his foremen. The foreman who bought this property was Martin Dulik. In 1997, his granddaughter, Susan Dulik, opened a winery called Pinot Reach Cellars. In 2004, the Dulik family sold the winery and the vineyard to Eric Savics, a Vancouver investment dealer. He re-launched the winery as Tantalus Vineyards, built a new winery and replanted parts of the vineyard, with an added focus on Riesling, Pinot Noir and Chardonnay. Throughout its 90 years, this vineyard arguably has never had as much TLC as it has from the current owner, who farms it sustainably. No herbicides and no pesticides are used and nutrient additions are organic. The branding of the wines made in the Savics era has always included labels featuring masks carved by artist Dempsey Bob, a renowned Tahltan/Tlingit artist. Eric began collecting his art before he acquired the winery. The current release includes the winery’s first reserve Pinot Noir. In part, the wine pays tribute to the winery’s relationship with the artist. The bottle features a gold mask by Dempsey Bob. If you check the value of his art, this will not be a bottle you will consign to the recycling bin. Here are notes on the wines. Prices exclude taxes. Tantalus Riesling 2017 ($21.74). The wine begins with aromas of jasmine, beeswax, citrus and green apple, leading to flavours of grapefruit, ripe apple and peaches. The wine is finished just off-dry, with the residual sugar being nicely balanced with acidity. The wine is already approachable but will develop even more complexity with aging. 91. Tantalus Old Vines Riesling 2015 ($30.35). This legendary Riesling is made a block of vines planted in 1978. Laden with minerals, the wine expresses the terroir superbly. A hint of petrol mingles with aromas of lemon zest. The layered flavours include stone fruit, lime, apple and mandarin, with a hint of apricot pit, almond and slate on the finish. The wine is balanced to finish dry. Approachable now, it will age superbly. 94. Tantalus Juveniles Chardonnay 2017 ($19.13). The wine is so-called because the fruit is from a six-year-old Chardonnay planting. The wine was fermented in stainless steel and neutral barrels and has a Chablis-like brightness of aroma and flavour. There are aromas of pear, apple and quince, leading for flavours of apple and grapefruit. 90. Tantalus Rosé 2017 ($19.13). This is 60% Pinot Noir, 40% Pinot Meunier. (The winery’s Pinot Meunier block was planted in 1985.) The hue is pale rose petals – a bit surprising when the technical data indicates there was six days of skin contact with the Pinot Meunier. However, the Pinot Noir was just pressed lightly. The wine has delicate aromas and flavours of cherry and raspberry. The wine is crisp and dry on the finish. 90. Tantalus Old Vines Riesling Brut 2015 ($34.78). Only 200 cases of this wine were made, largely because of the limited quantity of grapes from that 1978 planting. The wine has a fine, delicate mousse and aromas of grapefruit and brioche. On the palate, the flavours of apple and citrus mingle with minerals and brioche. The finish is fresh and crisp. 92. Tantalus Reserve Pinot Noir 2015 ($60.87). This wine, made largely from a single clone (667) of 10-year-old Pinot Noir, is the first reserve Pinot Noir from this winery. And what a way to come from the gate! The wine, dark in colour, also includes some clone 115 and 828 Pinot Noir. There are cherry aromas mingled with spice and herbs. It takes the palate by storm, with intense fruit flavours and savoury herbs on the finish. The silky tannins give the wine great elegance. 95. Michael Clark, the managing director and winemaker at Clos du Soleil Winery, is trumpeting that the winery recently won three silver medals at the Decanter World Wine Awards in London. This is a tough competition. The scores awarded to the three wines (90 or 91) are sufficient for gold medals in many other wine competitions. Michael has every reason to take pride in the results. The winners, which have taken awards elsewhere as well, are three of the winery’s flagship wines: Capella 2016 ($28), Estate Reserve Red 2013 ($60) and Signature 2014 ($45). Capella is a blend of 80% Sauvignon Blanc and 20% Sémillon. Estate Reserve Red and Signature both are blends of five Bordeaux red varietals, with Cabernet Sauvignon as the anchoring varietal. The grapes are all from the winery’s estate vineyard in the Similkameen valley. International recognition will be rewarding to Clos du Soleil’s partners, given that the winery takes its inspiration from their Bordeaux-influenced palates. Spencer Massie, who led the four original partners in launching the winery in 2007, once took part in the Marathon du Médoc. The route runs through vineyards and there are tasting stations along the way. The winery’s dedication to French wine styles even extends to the naming of some of the wines. The winery, while well equipped with barrels and stainless steel tanks, has three 5,000-liter concrete tanks that are used to ferment and age wine. Later this year, Clos du Soleil plans to release a red wine fermented and aged entirely in concrete. The wine will be called Béton, French for concrete. Michael joined Clos du Soleil in 2012. Several years earlier, he had left a career as an investment banker in Switzerland to study winemaking and to work in Swiss and Bordeaux wineries before returning to his native Canada. His careful research of winemaking opportunities in the Okanagan and the Similkameen led him to Clos du Soleil. The consulting winemaker at the time was Ann Sperling and she and Michael overlapped in the Sperling Vineyards cellar until Clos du Soleil built its own winery. The winery then had 10 acres of vines planted in 2007. Last year, Clos du Soleil bought a similar-sized property adjacent to its vineyard. This spring, about six acres was planted with Sauvignon Blanc and Sémillon. Both properties are organic. In keeping with the French theme, the new vineyard, which has rolling terrain, is called Les Collines. The winery, which has recently added a seasoned vineyard manager, also farms nearby vineyards. One supplies more Sauvignon Blanc while the other, in a departure from the Bordelaise philosophy, supplies Pinot Blanc and Syrah. Michael’s disciplined winemaking style, while detailed-oriented, is comparatively minimalist. Ferments are done generally with wild yeast. Wines benefit from extended lees contact and are usually bottled unfined and unfiltered. He avoids additives and limits the use of sulphur. He observes that the wines could be called natural. In a recent visit to the winery, I was able to taste the new releases. Here are my notes. Clos du Soleil Winemaker’s Series Pinot Blanc 2017 Middle Bench Vineyard ($22.90). The appealing aromas of apple and citrus are echoed in the flavours of this crisp and refreshing white. Michael comments: “Exactly the same winemaking as always, which is me trying to keep my hands off as much as possible. It is whole cluster pressed, fermented in stainless steel, and literally not touched until approaching bottling.” 91. Clos du Soleil Fumé Blanc 2017 ($21). This is 83% Sauvignon Blanc, 17% Sémillon, fermented mostly in stainless steel, with a smaller volume fermented and aged in French oak. The wine has aromas and flavours of lime, with good weight and length on the palate. The finish is crisply dry. 92. Clos du Soleil Capella 2016 ($27.90). This is 80% Sauvignon Blanc, 20% Sémillon. The wine was fermented and aged in French oak, with lees aging adding texture. Think of this as the Similkameen’s answer to white Graves. It begins with aromas of mandarin and grapefruit. The subtle oak supports flavours of grapefruit and quince. The mid-palate weight is rich, following through with a spine of minerality. 93. Clos du Soleil Estate Reserve White 2015 ($59.90). Think of Graves from a classified château. This is 96% Sauvignon Blanc, 4% Sémillon. The wine was barrel-fermented with wild yeast and aged on the lees. Sulphur was added just prior to bottling this unfined and unfiltered wine. The aromas begin with a hint of vanilla and orange peel, leading to flavours of green apple and lemon. The wine has excellent weight on the palate but finishes bone dry. 94. Clos du Soleil Rosé 2017 ($22). The pale rose colour of this wine reflects less skin contact than in previous rosé vintages, but not because Michael has climbed on the fashion for very pale rosés. “In the last few years, I have been aiming for a bit more complexity and a bit more delicacy,” Michael says. “I am sold on the idea of delicacy in a wine, not just rosé, but wines generally. As far as rosés go, I am not totally sold that the paler, the better. I am also not sold on the idea that the color trumps everything else. Most consumers chose wine based on packaging; a lot of consumers for rosé in particular are attracted to the beautiful colour.” This is 66% Cabernet Sauvignon, 33% Cabernet Franc. It begins with aromas of strawberry and rhubarb, leading to fresh and lively flavours of raspberry and strawberry. The finish is balanced to dryness. 91.